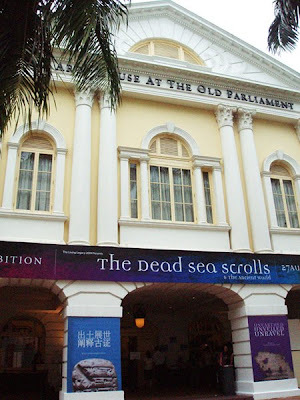 The Dead Sea Scroll Exhibition in Singapore on 30th August. The event is open from 27 Aug - 20 Sept, ticket prices are S$13.50 to $20.00 depending on which day you go! The Arts House at the Old Parliament. This used to be the Parliament House in the early days, it now hosts occasional events and performances. I once set up a booth for one of their bazaar events here... let's just say it was a ghost-town bazaar. On this day, however, it was so crowded we couldn't find parking nearby. In 1947 a Bedouin shepherd boy in the small settlement of Qumran went in search of his goats which had strayed away. He threw a rock into a dark cave but instead of hearing hooves of goats, the unexpected cracking sound of clay pots led him into the caves where he found jars filled with the first 7 manuscripts of the Dead Sea scrolls. They had been preserved for 2,000 years by the salty atmosphere surrounding the Dead Sea. Over the next 9 years more than 800 documents were unearthed, many in fragments." You can zoom in my photos to read the description. The actual piece is the smaller one on a beige background. 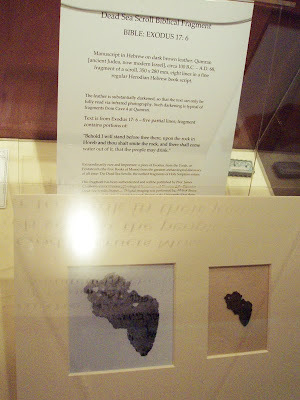 The larger one is an infrared scan because the fragments of the scroll (written on animal hide) were darkened from age. 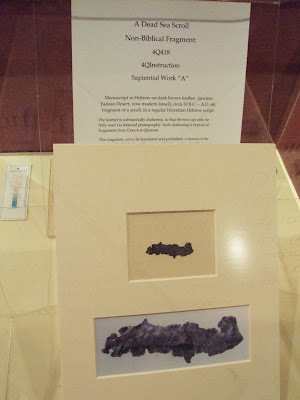 There are about 18,000 fragments and 4 were displayed here. 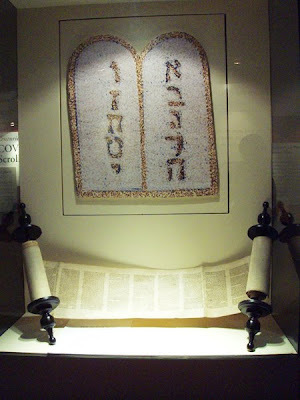 Hebrew Torah scroll (the law) : Genesis, Exodus, Leviticus, Numbers and Deuteronomy. 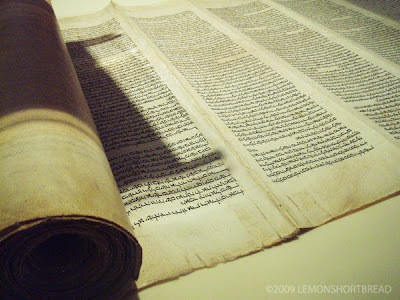 This handwritten scroll on parchment is approx. 400 years old. 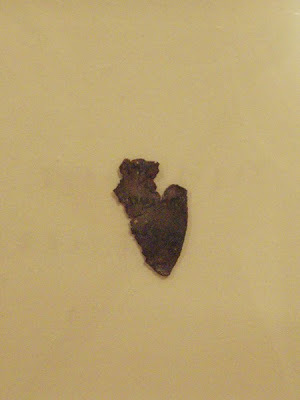 It was scribed in Poland and survived the Nazi Holocaust there during WW2. 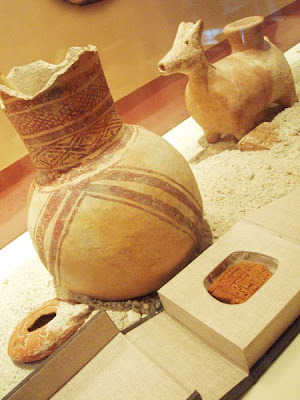 Mesopotamian pictography in clay (that tablet in the box). It is over 5,000 years old. 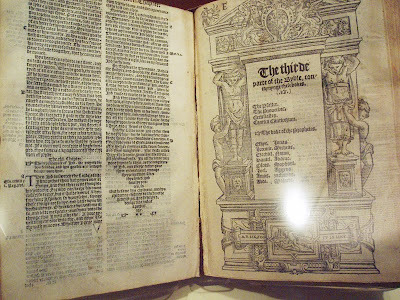 The work of William Tyndale and Richard Taverner. This bible is from the year 1551 in the reign of King Edward VI, is the Taverner Old Testament and the Tydale New Testament translation. 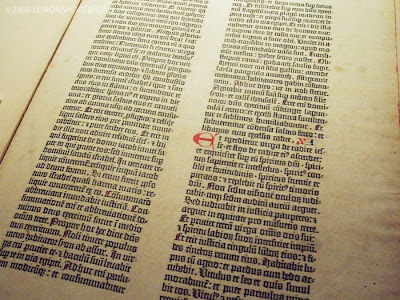 The world's first printed book with moveable type in 1455. 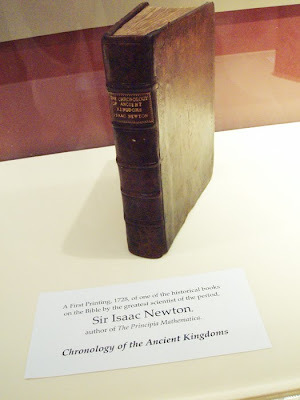 The first and thus most valuable printed book in history is a bible. 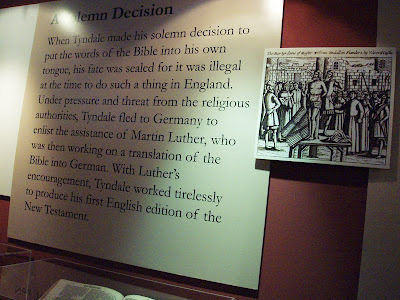 The other rooms featured an exbibit of the history of the translated Bible, related books and 4 people: Erasmus, William Tyndale, Martin Luther and John Calvin. looks like an amazing exhibition! there's something beautiful (and a bit creepy & mysterious) about ancient artifacts like these.. 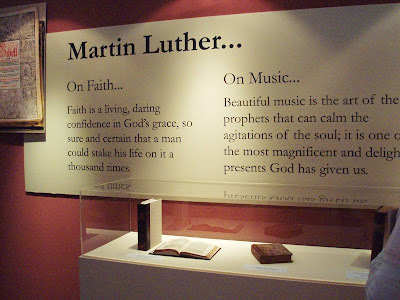 I would love to see this in person! I've heard about it before. Very intriguing. Saw you on etsy, and had to follow along! Very interesting. I would love to be able to see the exibit. Thanks for sharing it with us. this would be fascinating to see!